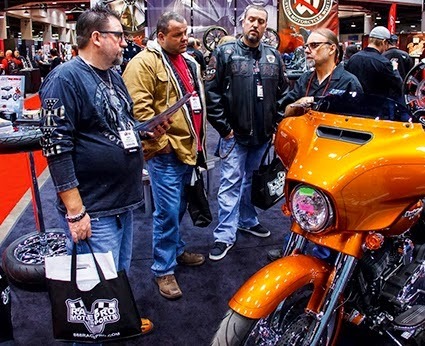 HAWG Halters Inc. (HHI) is continuing to expand its product offering for riders and builders wanting to run large front wheels on Touring models, with the introduction of its Neck Rake Builders kit for 2014 Touring bikes fitted with 49mm front ends. The new kit, said to offer optimum set-up for performance and handling, features a seven-degree neck rake, and nine-degree triple trees. 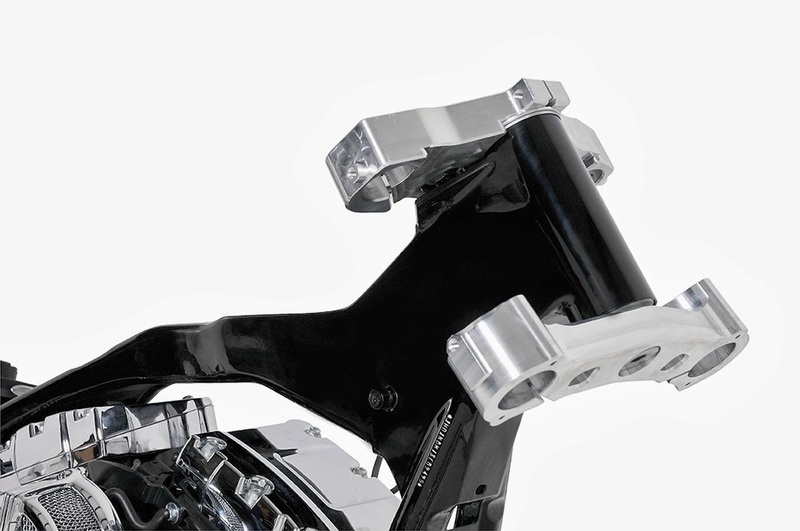 The kit is designed to utilize the upgraded larger H-D production neck bearings, which HHI includes in the kit. 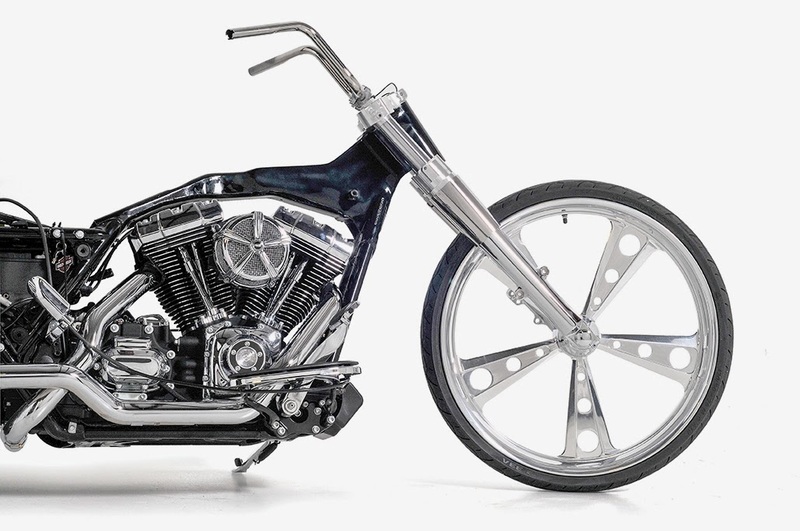 HHI’s 49mm neck and rake kit takes the advantages of its latest 49mm triple tree design and enhances the updated triple clamp from H-D. HHI says this triple tree design allows it to deliver maximum fork rigidity and superior handling responses. HHI now offers complete 21, 23, 26 and 30in conversion kits. These kits include ‘X 23 Bolt-On Triple Tree Kits’ or the ‘Custom Neck Rake Builders Kits’ for 23, 26 and 30in builds in both. In addition HHI supplies billet fender brackets, US-made, onepiece, wrap-around fenders in raw or black for 21, 23, 26 and 30in styles, D.O.T. brake lines, custom wheel and tire combinations in most popular sizes, which include matching true floating brake rotors in 11.5, 11.8, 13in, and now the new BFBK 18in direct bolt on caliper and rotor kits.